Sterling silver, man made Turquoise, Coral, and Mother of Pearl. The anklet measures approximately 9-5/8" inside circumference. This is truly an outstanding anklet that will make a great impression! 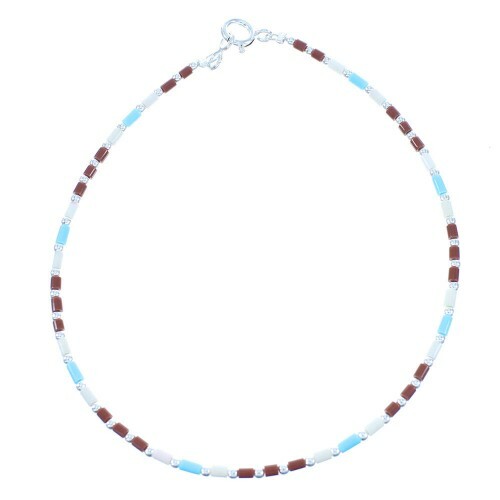 This radiant anklet is hand strung bead by bead out of genuine sterling silver and man made Multicolor heishi beads. 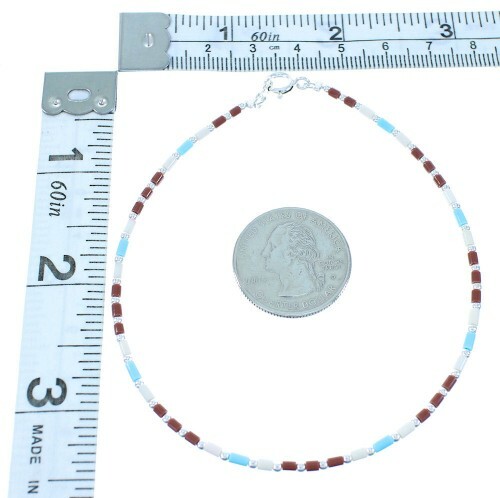 The anklet consist of: 2-mm silver round beads, along with 2-mm Turquoise, Coral, and Mother of Pearl heishi beads. Don?t pass up this gorgeous anklet!